The singer of one of the most successful modern pop-rock bands, Paramore has recently opened up about her mental health issues that almost caused her to quit the band. In an interview with “Fader” Hayley Williams discussed feelings of hopelessness and her decision in 2015 to take a break from her music career to focus on getting treatment. Paramore just recently released their new album “After Laughter” which includes many of Williams darker lyrics written about her depression. One song called “Fake Happy” discusses her need to smile and pretend she is okay in spite of her secretly depressed feelings. She also sings about the rocky relationship she has with her husband, Chad Gilbert the guitarist for New Found Glory in a song called “Forgiveness”. William’s lyrics tend to reveal a dark side to the singer that people may not be aware of. She began singing and writing for Paramore in 2004 and was recognized for her powerhouse vocals and signature dyed red hair. Working in the pop rock genre, Williams stood out in comparison to peer bands like My Chemical Romance and Fall Out Boy which had mostly male singer songwriters. Williams was initially signed to Atlantic records as a solo artist but resisted when they label wanted to package her as a pop star. The singer insisted that she wanted to be a part of an alternative rock band. Atlantic decided the image of Paramore would not fit their label and they instead released their music through a niche label called Fueled by Ramen with Williams still signed to Atlantic. Paramore released their debut album “All We Know is Falling” in 2005 but it only had minimal commercial performance initially. It wasn’t until the release of their second album “Riot!” in 2007 that the band began to enjoy some success with popular singles such as “Misery Business”. The media tended to focus on Williams as the star of the band which caused some tension with the other members and led them to cancel some shows to work out their personal issues. The band had frequent lineup changes and two of the founding members quit, feeling overshadowed by Williams popularity and marketability as the front person. However, the band’s success continued with several more albums and hit singles. The band is now a three piece with Taylor York on guitar and Zac Farro on drums. Williams has been pushed by her label on many different occasions to work as a mainstream solo artist or collaborate with other mainstream musicians. Williams has consistently said no to these offers, stating that she prefers having a rock band behind her at all times. 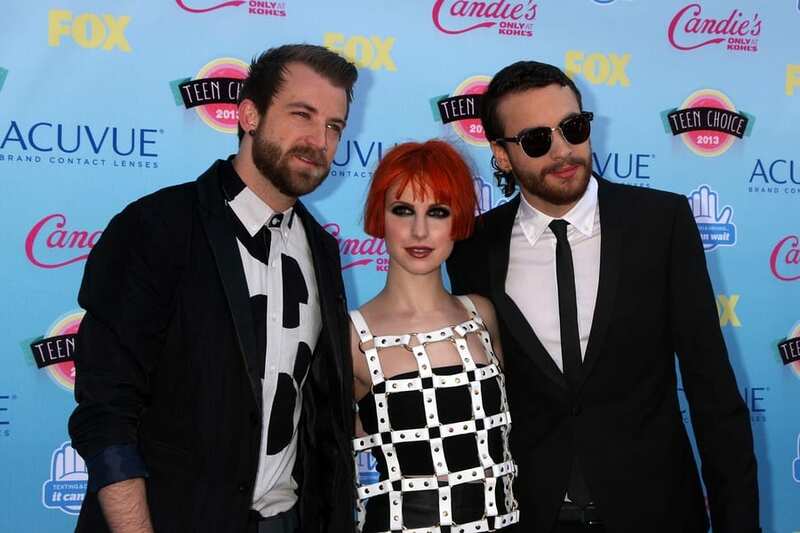 In 2015, the band’s bassist Jeremy Davis had left and Williams was struggling with issues of depression. She admitted that there were some days that she would stay in bed all day and watch old episodes of “The Office”, unable to bring herself to do anything. She began to fixate on death and her feelings of hopelessness which became overwhelming. Williams got to a point where she felt that there was no light at the end of the tunnel and she wanted everything in her life to just stop. She asserts that these were not suicidal feelings but a sense that there was no point in anything, that life had no purpose. The singer was so consumed with these dark thoughts and feelings that she even briefly quit the band in the summer of 2015 for a few months in order to focus on her mental health. She felt exhausted and even had thoughts that she had nothing left to say or sing about in her music. At the time she felt as though she should pursue something else and quit doing music, hoping that she could find another skill. She began seeing a therapist and her guitarist Taylor York, who also struggles with depression, sent her some unfinished tracks to see what would happen. Williams took his unfinished tracks and began writing again, coming up with lyrics and melodies for his ideas. Many of the songs that they wrote together during this time ended up being tracks on the new album “After Laughter”. Hayley Williams eventually decided to continue pursuing music with the help of her songwriting partner, Taylor. Her music has evolved from heavy pop punk to a more mature yet still poppy sound that has kept the band relevant. When their new album came out Williams felt overcome with sadness but she has since recovered, feeling more optimistic about the path that their music has taken. In spite of band drama and Williams personal struggles, Paramore remains a strong and successful band with its current lineup and new material. Williams is now able to feel the joy of being in the band again and sharing music with her bandmates and fans.